[TIME SENSITIVE] – I just received this in my inbox and I was compelled to share it with you. Michelle is a regular contributor to the Tribal Woman Magazine and Website and I know this will be an extremely valuable event to participate in. As you probably know, 2013 was a bit challenging – to say the least! Fortunately, this year is rapidly coming to a close, and a bright, shiny, loaded-with-positive-potentials new year is dawning! What do you REALLY want to create in 2014? A healthy, sassy, slim, supple body? Greater personal connection to the Divine and intense joyfulness? Greater financial stability and affluence? More ease, flow and grace throughout your daily life? Deeper peace and relaxation? Or something else? The possibilities and potentials are unlimited! There are some very special and powerful universal forces at work and play on January 1st, and I am inspired to utilize this unique opportunity to help you set the space for a fabulous 2014!! A New Moon: With each new moon a powerful energy portal is opened. New Moons are a great time to set intentions for things you’d like to create, develop, cultivate, make manifest. The New Moon in Capricorn, conjoined with Pluto: This is very auspicious, because we are set to make steady, upward, step-by-step changes, laying a new foundation. Capricorn energy often feels a bit slow, however with Pluto in the picture, the planet of transformation and change, there is a real powerhouse effect, sweeping away all the deadwood and igniting and rejuvenating new foundational changes! A Cardinal Cross involving the sun, the moon, Mercury, Mars, Jupiter, Uranus and Pluto! What a line up! If you are ready to release the past and build a solid, joyous, powerful foundation, now is the time to do so. It is rare that all these celestial events come together so auspiciously – especially at the beginning of a New Year! So whatever you choose to create, it is time to do it consciously and decisively. So I’ve decided to hold a live virtual event to capitalize on this unique planetary alignment. Please join me on January 1, 2014 at 1:00 p.m. PT/ 4:00 p.m. ET, when all the energies are at their peak, for a group transformational call to help you set your intentions for 2014 and ultimately help you manifest your goals, dreams and desires as we utilize the incredible energetic forces that are available to us on that day! We will end with an Explosion of Joy Transmission to ground and infuse the energies moving forward! Want to release any left-over, residual energy from this year or the past! Are no longer willing to feel like life has kicked you in the teeth! Are ready to take control of your life! Are ready for powerful change and manifestation! Are ready to feel fabulous, joyous and empowered! Aren’t completely sure how to set an energetic intention that will stick, but are excited to get it right the first time! Want to completely break free of old patterns and programs that kept you in fear, uncertainty and lack. Want to feel nurtured, safe, loved and supported so you have a master template for 2014 and beyond. Are ready to raise your vibration and alignment so that 2014 is your best year yet! Are ready to utilize the combined, exponential power of a group of high-frequency individuals to help set your intentions and goals for 2014 so that they actually happen! The value of this call is priceless. 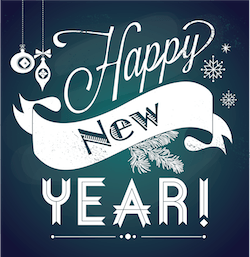 But as a Happy New Year – Happy New You special I’m offering this LIVE events for only $14! Can’t make it live? The event will be recorded so that you can add it to your library to listen to over and over throughout the year as additional support and activations!! Join me and the rest of the Quantum Soul Clearing Community as we join forces to powerfully, consciously and joyously set the energies for 2014 and beyond. Together we can create miracles in our personal lives and in the world! To participate in the LIVE Call Plus receive the recording at this amazing price! Don’t Miss Out! If you register before January 1st @ 1:00 pm PT, you will also receive the audio recording of my Michelle’s LIVE Explosion of Joy Transmission: Out With the Old, In With the New. This Explosion of Joy will help us finish releasing any old patterns and programs from 2013 and the past, and experience an Explosion of Joy Transmission to set the tone for 2014! She is the best-selling author of, Quantum Soul Clearing – Healing the Scars Life Leaves on the Soul, and Founder of theQuantum Soul Clearing Process. She is a contributing author in two other books: Pearls of Wisdom: 30 Inspirational Ideas to Live Your Best Life Now, with Jack Canfield, Marci Shimoff, Chris and Janet Atwood, et al; and Ready, Aim, Captivate, with Deepak Chopra, Jim Stovall, Ran Zilca, Suzi Pomerantz, Dan Janal and other international thought leaders. Michelle has been in the energy medicine and alternative healing field for over 25 years. Her approach to healing is multi-faceted and “whol-istic,” integrating mind, body and spirit for optimal wellness. Her practice, Infinite Potentials Health and Wellness, serves people throughout the world. 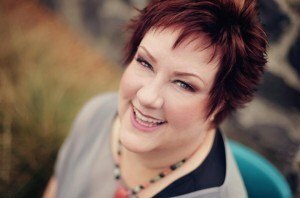 Her innate, unique intuitive and psychic abilities, in combination with her education and training, allow her to deeply explore and understand her clients’ individual challenges. She facilitates her clients as they focus on strengthening the emotional, mental, physical and spiritual and financial aspects of their lives in order to create greater wealth, increased self-confidence and empowerment, peace of mind and healthy relationships with themselves and others. Previous Post Argan Oil: 4 Winds Announces New Product Line on Amazon Next Post I’m Today’s Guest on Entrepreneur Master Class!